I know, I’ve been gone for a while and a lot has been going on. Most of which I will get to in the next few posts. Right now I just wanted to pop in to wish everyone a Happy Halloween! Most of you know that Halloween is my favorite Holiday. It’s been that way since I was a kid. There are 3 points in my life that connected and made my love for this day grow to what it is now. Which some of you out there have criticized about. I get it if you don’t get it, but here’s a little more insight at why there was only one Halloween I didn’t dress up and why this time of year is my favorite. The first point would be 1979 to 1980. This year is probably one of the biggest and most life changing year of my childhood. I lived that year in New York. My dad had taken a job in Rochester, and we moved across the country. We actually drove from California to New York. The trip was a lot of fun, and there are many relatives that we stopped to see along the way that would be the last time I ever saw them. So this is a found memory up there in my noggin. When we got to New York, the house we were going to live in wasn’t ready yet and we stayed at a Holiday Inn. Also great memories. Spent most of the time there at the inside pool which had a big window where you could see the snow out side as you swam. Yes, all good times, but good times aren’t meant to last, The first decade of my life was coming to an end, that second one (the one where our childhood dies) was waiting, and it would be much different. And I would get my first taste of the changes that Halloween. The house still wasn’t ready, but we couldn’t live in Holiday Inn for ever. So we had moved into a studio apartment in what I remember was not a very good neighborhood. Well, that’s what I was told. I don’t think I ever left that apartment to see much of the neighborhood. In fact when Halloween came around we did not even go trick or treating. This was devastating to the little 8 year old me. Thinking about that apartment now, it was like a weird prison where the only good things I can remember about it were my dad’s grill cheese and tomato soup and watching SOAP with my mom on our little TV. But what I will always remember most about the time I did in that apartment, is no trick or treating. Some might say this stunted my growth a little bit and it is why I have never not dressed up on Halloween since then. Maybe you are even right. But this isn’t the point where Halloween became my favorite. That would be the following year. By then my family had moved back to California, Well not all of us. My parents were getting a divorce and my dad still lived in New York. Yes a lot to unpack there, but not at this time, that’s a Christmas story. Anyways, October, 1980, back in California and my mom out of the blue took my sister and me to Knott’s Berry Farm. What a great day that was. It closed early because they did this thing at night called a haunt. Didn’t know what it was but it meant some of the rides had Halloween props and the whole park was done up for Halloween. Man, we had such a great time that day. And then as we were leaving the park, some of the haunt’s actors were arriving. They had costumes and I was just mesmerized by them. A couple of them that were dressed as witches gave out a cackle as they passed us, scaring my sister a little. But I was in awe. This meant something. It was a feeling of destiny of some sort. A longing. It was magical. So that’s point one in my life where this whole thing got set in motion. The next would come the following year. My first year trick or treating with out an adult. 1981, I was in 5th grade and that second decade of life was now in full swing. A lot had changed from 8 to 10. Not only in me, but in the whole world around me. In the mist of all these changes was one of the greatest Halloween’s ever. Definitely the best night of trick or treating ever! Some of you long time readers might remember Jeremy. I mentioned him in a post. He was my best friend at the time. That Halloween we had planned on trick or treating together. My mom had to work that night, so my sister and I were gonna go trick or treating with Jeremy’s family. At the time I had just started watching Marx Brother movies. I loved the Marx Brothers, still do. So at the time i came up with the idea that Jeremy, my sister, and I should go as The Marx Brothers. My favorite was Harpo, so I chose Harpo. Jeremy would be Groucho, and my sister would be Chico. I remember my mom helping us find all we needed for our costumes. I had this big blond curly wig and of course a horn, which I honked all night long. This great night almost ended before it began, because at the last minute, Jeremy’s mom decided to take Jeremy to trick or treat at his grandma’s. We were losing our Groucho. But even worse, we would probably have to go trick or treating with my grandma, which was just gonna change everything. Most of my friends would be going by themselves, but I knew that wasn’t gonna happen for us… or was it? It was simple really. The plan had been for my sister and I to walk over to Jeremy’s house. Why did it have to change. My mom went to work, we told my grandma we were going to meet Jeremy, and my sister and I set out on one of the greatest adventures ever! Without our Groucho, most people didn’t know who my sister and I were supposed to be. Some thought we were used car sales men. One girl from my class said, “I should have known you’d dress up as a girl”. What? Fair comment, yes, but I was Harpo Marx! I just kept honking my horn at people. I would also hold out my hand to shake hands and instead they would get my leg…. some figured it out. We would some times join friends and other times it was just me and my sister quickly filling our large pillow cases. It was such a glorious night. Every house was decorated. Several with garages set up like haunted houses. We went out of our group of neighborhoods, venturing way further than our mom would have been comfortable with. But we didn’t care. We were having the time of our lives. Sometime after midnight (which was just so freaking awesome to be roaming the streets alone hopped up on sugar) when there wasn’t much of anyone else out, we headed home. The pillow cases were overfull and almost difficult to carry, almost. I remember hitting a few more houses along the way and seeing a group of kids I went to school with we had hooked up with earlier in the night. They too looked as if they had the time of their lives. That moment will always be etched in my memory. It was pure joy. It was one of the best nights ever, and Halloween would be my favorite holiday from then on. Point 3 would come 5 years later. 1986, I was 15 and a freshman in high school. In 3rd period, which was my favorite class, Drama, some people came by to see if any of us were interested in working in a haunt they were building for that Halloween season. By then I knew what a haunt was and jumped at the chance. It was my first job. 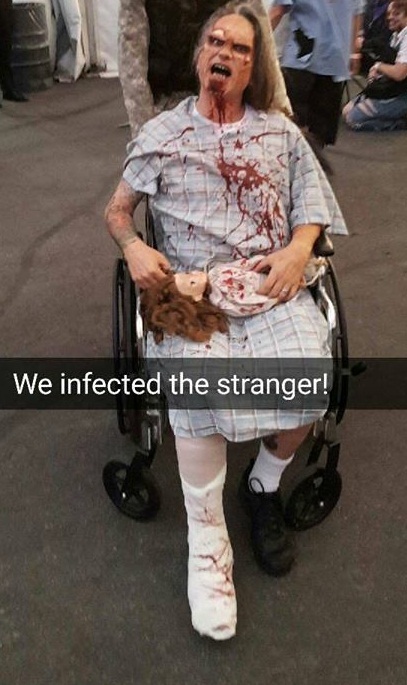 I was paid to dress up and scare people. And I was good at it. Every night the owners would pick the scariest, I won most of the times. And this was against much older, experienced actors. I made it my goal to scare everyone who came through. That included friends from school, family, and just about everyone I knew. I had so much fun and at the end I got a paycheck. That was it. I knew this would be a big part of my life. Here we are, many, many years later, and it is still a big part of my life. For the past 11 years I have worked at one of the top haunts in the world. My family joins me every year in the magic, and I get to keep a good part of my life going. Memories that join together to become something more than just memories. I dare say purpose… but I will settle for what ever it is, because I love it. Which reminds me, I gotta get going. 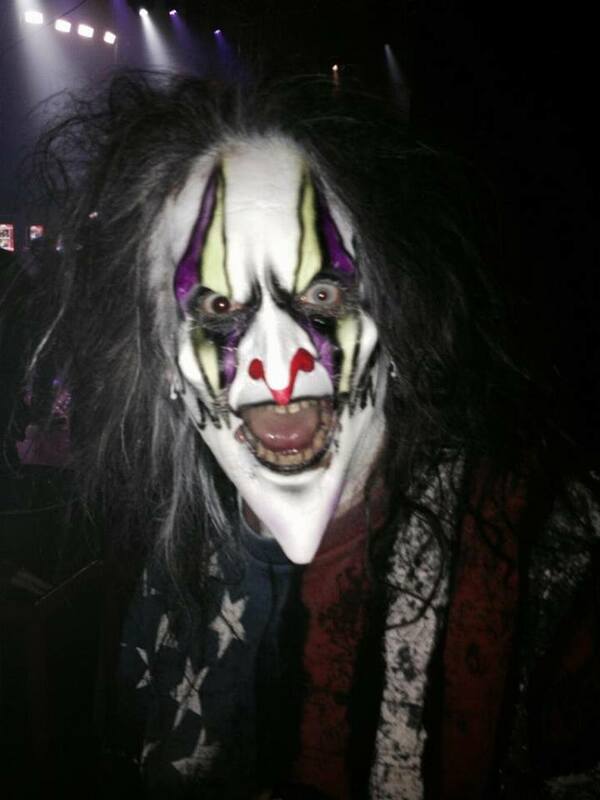 There is still 1 more night left of Dome and I gotta get my scare on.